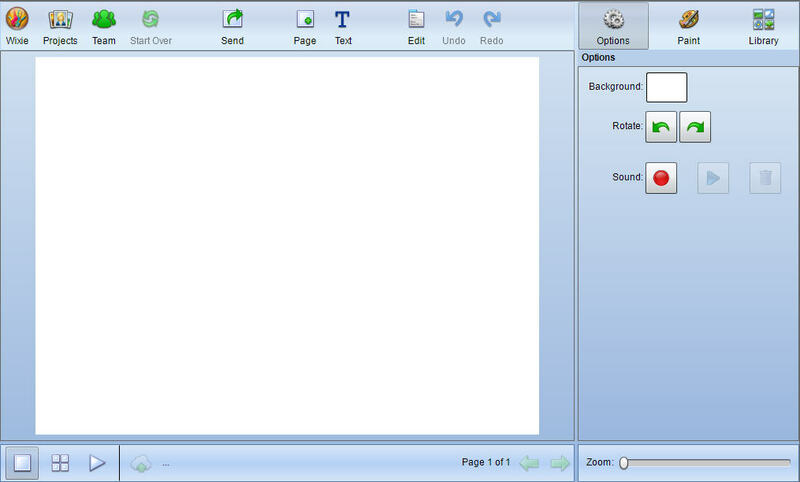 Wixie is a digital canvas students can use to combine writing, images, and voice narration to share their ideas and demonstrate understanding. Depending on your learners and your learning goals, Wixie can be used in so many different ways in the classroom. If you haven't used your Wixie subscription with students, it's easy to get started without a lot of training! Here are a few ideas. 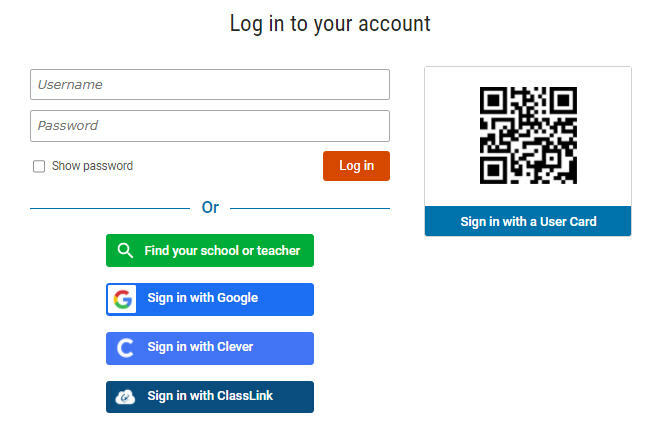 Have your students enter their username and password. If your site uses Google or Clever, click those options to get logged in. If you don't know the process your site uses for logging in to Wixie, reach out to support@tech4learning.com. When students log in the first time, they will start at a blank page and can begin working. A blank page can be intimidating to some learners, so give them a plan for their work. A simple draw and label activity in Wixie is easy to do and a powerful way to get students to visualize vocabulary, such as antonyms, homophones, and idioms. To begin, have students use the Text tool to add a word, or words, to the page. Then, have students open the Paint panel and use the paint tools to draw a picture that shows the meaning. *If you are looking for something a little more lighthearted and it's cold outside, you could have students use Wixie's symmetry options to draw unique six-sided snowflakes. The next time students start a Wixie project, they will begin at their Projects View. Have your learners click the Templates tab to create a project using an existing template. 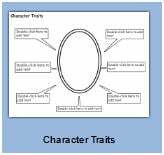 Completing a character traits diagram is a powerful comprehension and thinking tool and a great place to start with Wixie student templates! Have students find and click the Character Traits activity to open it. 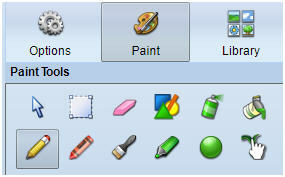 Students can type text and use the paint tools to complete the organizer. Having students start a project from their Templates library builds skills that will help them use Wixie independently and empower them to take control of their own learning. The Templates tab is filled with fun activities and other graphic organizers students can use to support their learning and inspire their work. Once your students have begun using Wixie, it won't be long before some of them have discovered all sorts of additional features, such as adding more pages, changing fill options, and using images from the library. Don't panic if they know more than you do. Ask these students to be your partners in Wixie and give them the responsibility for teaching other students how to use these additional options for communicating their ideas in Wixie.